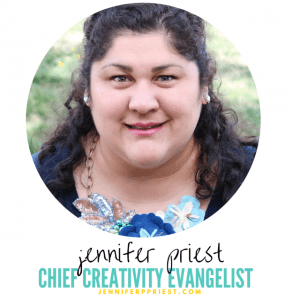 Sending the kids to Grandma's House or camp this summer? It's the “Summer of FREEDOM”… oops, I mean, “Summer of Fun”… for the kids *wink wink*. Whether your kids are going on a weekend sleepover with the favorite Aunt or a European Vacation with Grandma, it's important to make sure they're prepared, especially if they have seasonal allergies. Having an allergic reaction on a trip is no fun for anyone! Today I am going to share how to prepare for a trip to Grandma's house for kids with seasonal allergies. This year our kids are going on a 2 week cross-country road trip with my parents and then spending another two weeks in North Carolina with their other Grandma. My kids each have different allergies and with them traveling from the desert, through forest, across the plains, and into wetlands on this summer trip, it's important to make sure the grandparents are prepared to deal with each child's seasonal allergies as they enter areas with different allergens. Runny noses and itchy eyes are no fun for anyone! Being prepared is key to making sure the grandparents will have a great time with the kids and that the kids will be comfortable on their trip, despite any seasonal allergies. Both of my parents are Registered Nurses (MSN, PHN) and they know Pharmacology so dealing with allergies isn't even going to be a challenge for them. Even so, I want to avoid making my parents figure it out on the fly when the kids are having a reaction to something in the environment. They should be spending time having fun and making memories, not running to the drug store for an anti-histamine. 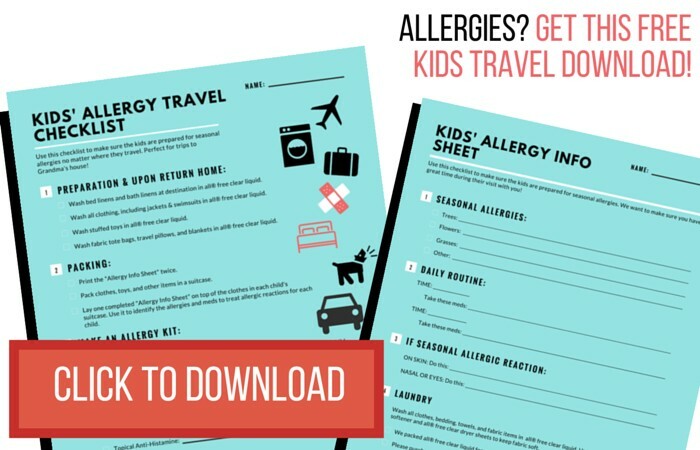 Don't let seasonal allergies interfere with your kid's travel plans! There are two steps to making sure the kids and grandparents are fully prepared for the “Summer of Fun”: preparation before the trip and packing for success. 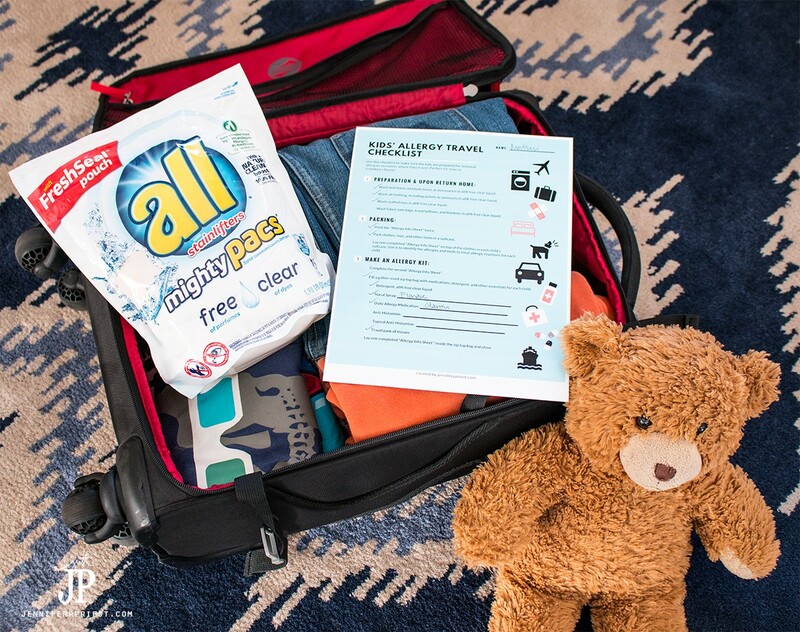 Before the trip, prepare by washing all fabric items in an allergy-free detergent like all® free clear liquid or all® free clear Mighty Pacs®. 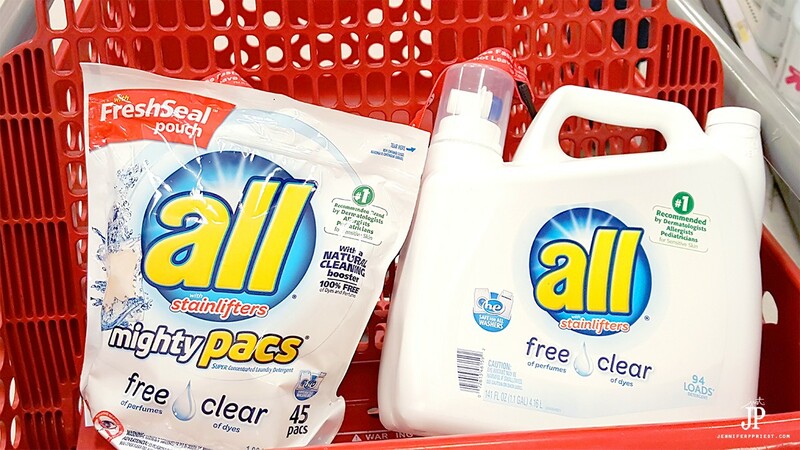 You can pick up all® free clear liquid, all® free clear Mighty Pacs®, all® free clear fabric softener, and all® free clear dryer sheets at your local Target store in the laundry aisle. We choose all® free clear for all of our washing because all® is the #1 detergent brand recommend by Dermatologists, Allergists, and Pediatricians for Sensitive Skin while it also fights tough stains, whitens whites, and brightens colors. 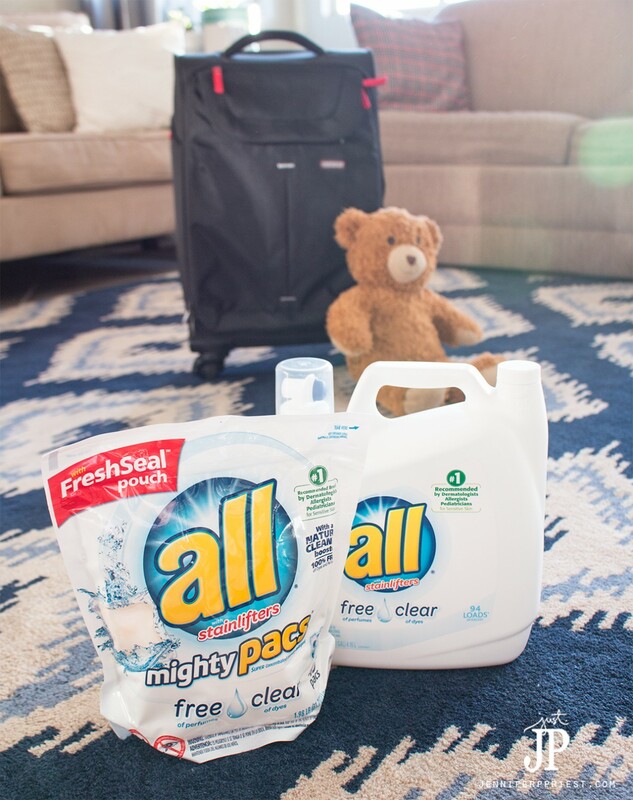 all® free clear detergent removes the #1 spring allergen from clothes plus 99% of everyday and seasonal allergens, including cat and dog dander, dust mite matter, ragweed, grass, and tree pollen, so even if the kids go hiking on their trip, they can wear the clothes again after washing with all® without worry. Please note, all® free clear is does not treat or prevent allergies. I created a checklist to help the grandparents know what each kid is allergic to, what medications they're taking, and how to deal with any allergic reactions in addition to preparing for the kids' visit. 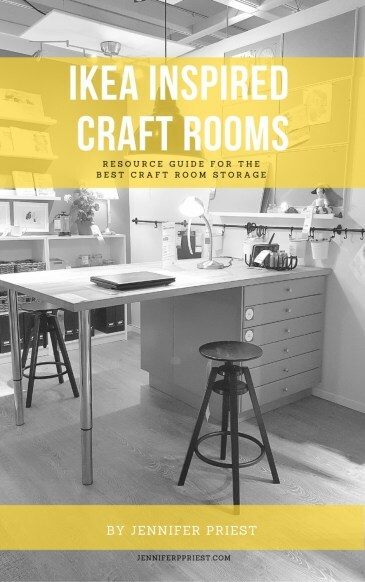 You can have the kids help you pack so they know where everything is. I like to place all medications and liquids in a sealed zip top bag with a copy of the checklist inside so it's easy to identify which bags belongs to each child. Fill out the checklist with your child's medications and allergy information. 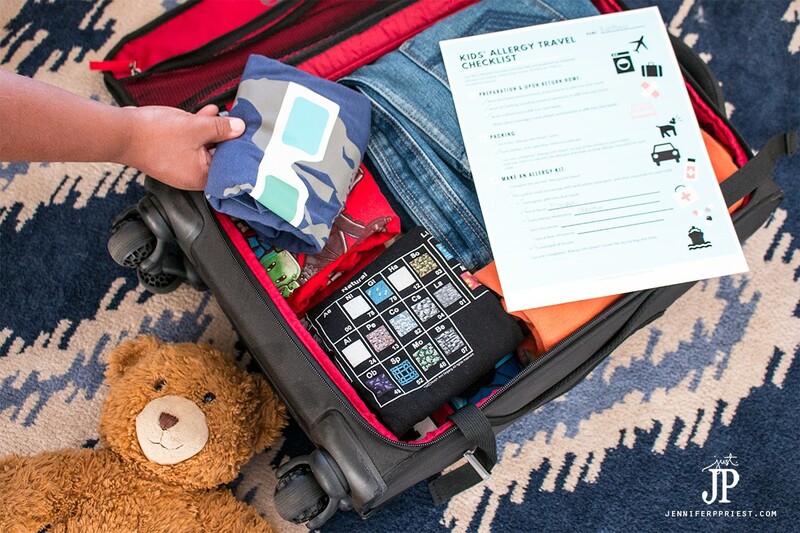 Then gather everything your kids need to make this trip easy, including all® free clear liquid. 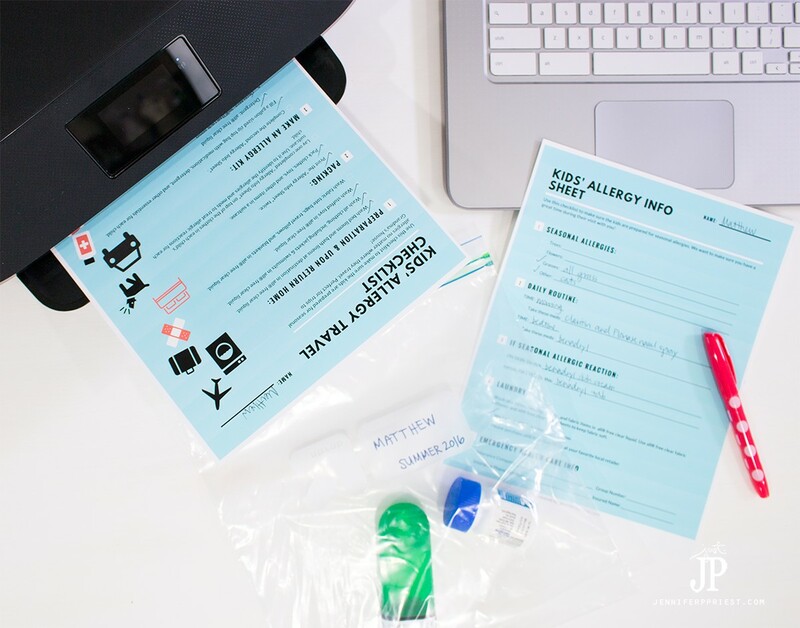 If the kids will be traveling to Grandma's house via airplane, there's a printable shopping list to help Grandma pick up all the supplies the kids need once they arrive at their destination. 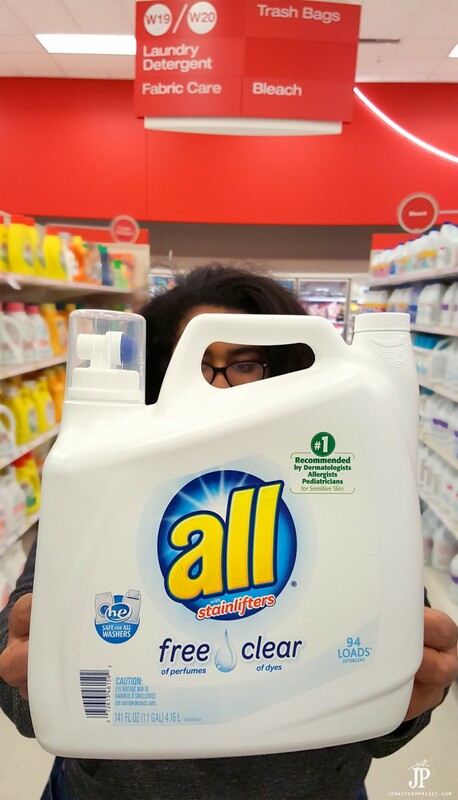 Luckily, all® free clear liquid can be found at her local Target store. Start preparing for the trip! Continue the conversation by joining the all® free clear community and connecting with parents just like you! My allergist suggested I use ALL Free and Clear detergent year round for my seasonal allergies. Unfortunately I’m allergic to something different each season. I never used the pacs until recently . . . I am HOOKED! They are so awesome!